The rise in popularity of the 7mm magnum cartridge ever since its inception all the way back in 1962 has been nothing short of stupendous. It nearly put the excellent .264 Winchester Magnum out of business with its superior performance. And thus, from an obscure or rather exotic European novelty, this spiritual descendant of the old but venerable Mauser 7×57 has risen to the number two spot on the North American continent. The top spot, of course, belongs to the legend that is the .30 caliber, which will forever remain in a class of its own. Nevertheless, the 7mm magnum remains a popular choice for gun enthusiasts, primarily big game hunters thanks to its strengths. Experienced shooters will probably know the futility in arguing relative merits and weaknesses of the 7mm versus the .30 caliber family of rifles. They are both excellent rifles with precious little regarding actual real world performance. If you are out hunting, they will both get the job done in the case of medium to big game animals. And they both might be a bit of an overkill for the smaller game. The same goes for target shooting. In the end for most owners, it all boils down to personal preference. The .30 caliber probably has a slight edge, especially when it comes to choice of projectile grain size, though the 7mm magnum is not far behind in this regard. The long and short of it is that the 7mm magnum is one most trusted options for long range medium to large game hunting. The 7mm magnum also has plenty to offer target shooters despite its mean kick. What works in its favor for long range target practice is the excellent flat shooting trajectory of the cartridge. This is after all a rifle caliber that was used by the US Secret Service at one point on their urban counter-sniper deployments. Besides, it is a standard factory issued cartridge that can slot into various affordable bolt-action rifles from manufacturers like Remington, Winchester, Savage, Ruger, Sako, Weatherby and many others. You can’t go wrong with a 7mm magnum rifle, be it for range practice or game hunting. Let us start with one of the pricier options out there. The Burris Eliminator sure doesn’t come cheap. But for that price what you get is pure quality. Easy to mount and range, this is one of the best scopes for long range shots at 500 yards or more. It will work extremely well out in a target range, provided you have long range targets to aim at. This is great scope for both beginners as well as seasoned pros hunting out in the wild. Range adjustments are snappy, and you can pull off shots in quick succession, a boon when out hunting. The 16x zoom might be a bit of a letdown for those looking to shoot at very long distance targets, but that is probably one of the few gripes you can have about what is otherwise one of the best scopes your money can buy for a 7mm Magnum rifle. On the other end of the price range is this compact scope from Nikon. This is a fantastic option for those 7mm magnum owners looking for a less pricey scope that can get the job done. This scope can sight all the way up to 600 yards and can be used for hunting as well as in a shooting range. At its price range, you will be genuinely hard pressed to find a better performing scope. In fact, this Nikon ProStaff can give many scopes in the $500 category a run for their money. With 3.7 inches of eye relief, this is a great scope to handle the considerable recoil from a 7mm Magnum round. With excellent light transmission figures of around 98%, this Nikon scope is perfect for diverse outdoor conditions including low light and low visibility. One look at this scope and you know that this was designed specifically for a long range magnum rifle. The legendary German brand requires no introduction. Retailing at around $1300, this compact scope offers 25x zoom where larger bulkier scopes have to settle for 8-10x zoom. The Rapid Z varmint reticle has been specially designed for cartridges with flat trajectories which will fit the bill for a 7mm magnum rifle. The perfect companion for somebody looking to do some varmint shooting at medium to long range. The price may be on the higher side, but a Carl Zeiss scope is well worth its price anytime. Another sub-$100 scope that works efficiently for those looking for a dependable hunting scope within a budget. 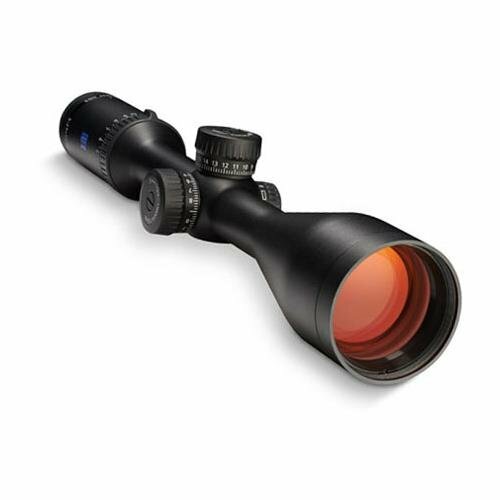 This scope is optimized for low light conditions, making it perfect for those dawn or dusk hunting trips. The build quality is rugged, and though it is on the heavier side, that is acceptable at this price point. It can also get the job done reasonably well on the target range for. All in all, a functional and reasonably accurate scope that comes under $100. The weight can be a bit of a hassle at the end of a long day out in the country, so that might be something to consider if you plan to buy this for hunting purposes. An out and out scope for the targeting enthusiast, the Millet LRS-1 is a sub-$500 product that is perfect for a 7mm magnum rifle. With excellent optics and long range zoom, this scope will help you pull off 900 and 1000 yard shots with ease. This may not be the best option for hunting though, because of its considerable bulk. But if you are looking to get the maximum out of your 7mm magnum rifle, be it a Remington 700 or a Sako 85 Finnlight, this could be the long range scope for you. Another affordable yet versatile scope from Nikon, this $120 priced glass can be put to use for hunting game as well as paper. Much like the other Nikon scope in this list, The Buck Master II is an excellent hunting scope for low light situations. The BDC reticle holds a distinctive advantage for long range shooting with its see-through ballistic circles. And as we all know, if there is one thing the 7mm magnum rifles are good at, it is getting long range shots. With up to 12x magnification, this scope should get the job done in most standard game hunting situations you might end up in. As a very affordable scope, this Nikon will work reasonably well should you want to spend some time at the target range grouping long range shots. The 7mm Magnum is one of the most popular rifles out there today. As a long range caliber rifle, scopes are almost mandatory if you want to get the most out of your 7mm magnum. And as you can see from this list, there are plenty of great scopes in a wide range of prices available in the market for hunting as well as target shooting practice. Many scopes tend to be versatile enough to get both the jobs done, often at very affordable price points. It is all up to you figure which one fits your needs as well as your pocket.